After returning to this classic little show for the first time in many years in 2016, the 2017 instalment had been highly anticipated. 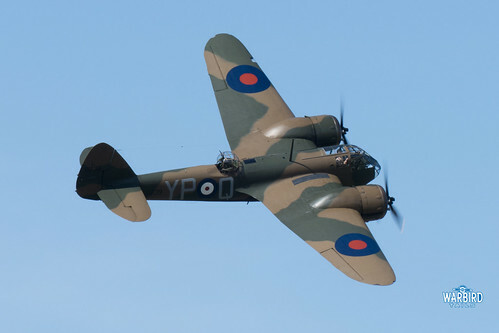 Rightly so as the event certainly delivered one of the most varied afternoon’s flying of the airshow season. It also made a pleasant change having seemingly spent most previous visits ducking in and out of the hangars from rainstorms, to be doing the same to get out of the heat! This show probably benefited from one of the best weather days of the entire season. As always, there is much more to Gransden than just the flying display, the whole event is a great day out and raises money for a fantastic cause, Children in Need. The morning passed by very quickly once the stalls, classic cars and Hawker Fury and Hurricane projects had been sufficiently explored. 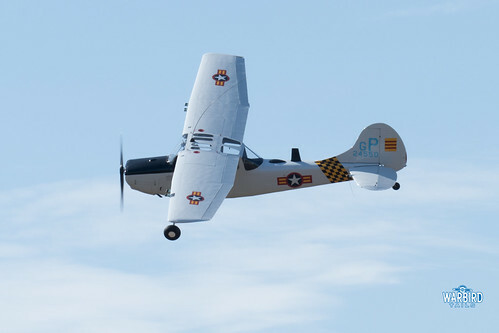 The flying got underway after lunch with a brief appearance from airfield owner and aerobatic pilot Mark Jeffries arriving in style in a para-motor. 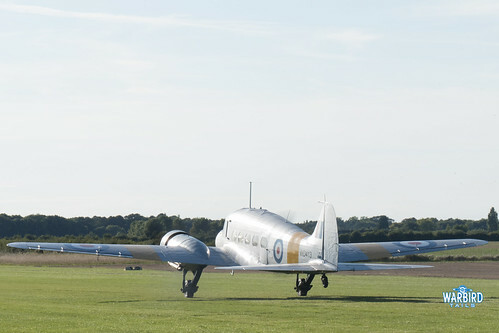 The main display began with the return of a Gransden tradition. 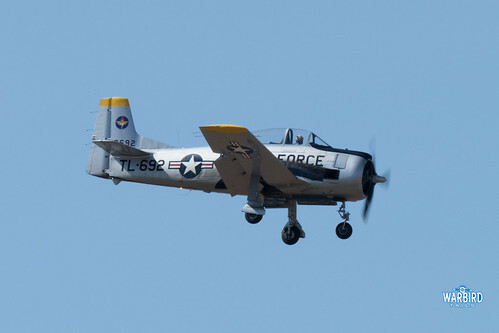 I fondly remember the classic rattle of a T-28 Fennec kicking off the flying displays in years gone by so it was great to see Trojan G-TROY making its first appearance at the airfield. 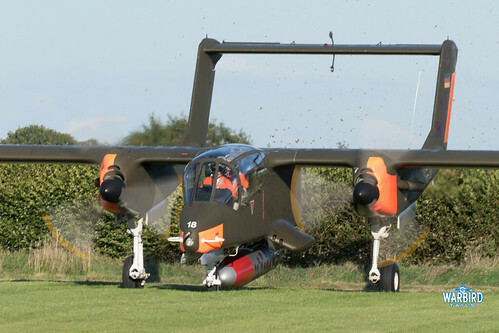 This was the first time I’d seen the aircraft perform in its new USAF paintscheme and it did not disappoint. Plenty of low topside passes and unusual twists like the landing configuration pass round the Gransden bend made for a great opening act. 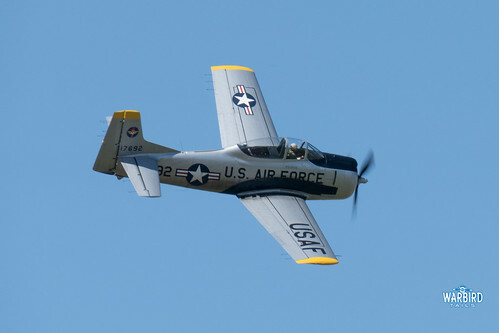 Following the T-28 was another act I’m not convinced I’ve seen as part of a flying display before, the inimitable Broussard. 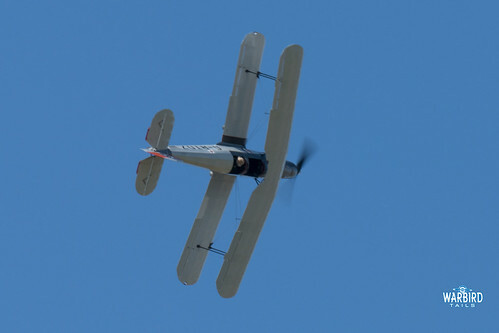 This example, part of the Real Aeroplane Company collection based at Breighton in Yorkshire, put on a great display with a great demonstration of the aircraft’s low speed flying capabilities. 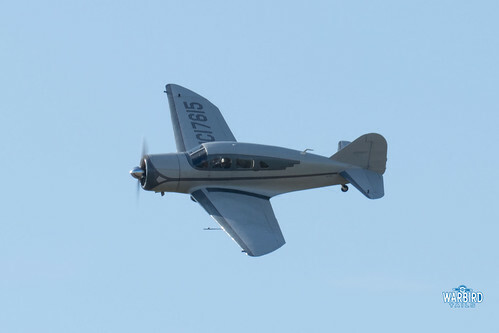 The Radial fun kept on coming with the debut flying display performance from the Leicester based Beech 18 flown by Nick Houghton. It’s nice to see this aircraft getting about so much have previously been a regular sight when operated by the Aircraft Restoration Company. 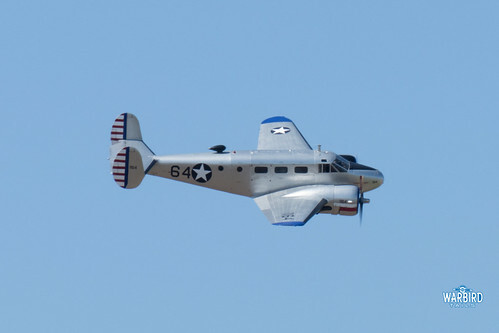 This first display showed the aircraft off to great effect with great, towering wingovers. Another act that is part of the fabric of the Little Gransden show is Captain Neville’s flying circus. The team once again delivered a polished display of barnstorming including balloon bursting and double limbo flying. Bucker Jungman displays have become a rarer feature of flying displays in recent years so it was a positive change to see a solo routine included as part of the display. It has to be said this was an undoubted highlight of the day with a superb demonstration of low level energy management and some lovely aerobatic figures. The surrounding area of Little Gransden is rich is wartime history and time is always taken as part of the afternoon’s activities for a short memorial service. This service was due to be followed by a display from Hurricane Heritage’s R4118 but sadly the Hurricane went unserviceable shortly before its slot meaning that after a short delay it was left to the Bristol Blenheim and John Romain to restart the flying. What more can be said about this fantastic aircraft and displays it puts on? Well this performance at Gransden took things up a level. The bend was put to incredible use and the commentary was kept to an absolute minimum throughout the display allowing the assembled crowd to savour one of the shining lights of the UK warbird scene, magic! Further WW2 entertainment came from a stunningly tight flat display from the Duxford based T-6 “Wacky Wabbit”, certainly as energetic a Harvard solo as I remember in recent times. 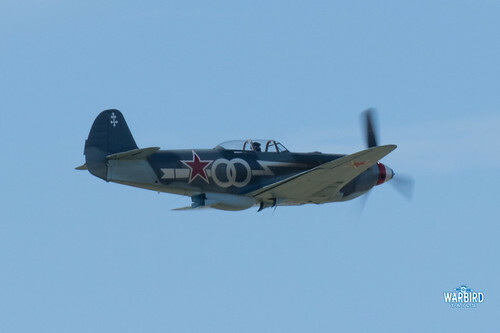 I finally got the opportunity to see Will Greenwood’s Yak-3 display as well after various chances to see the aircraft fly haven’t worked out. 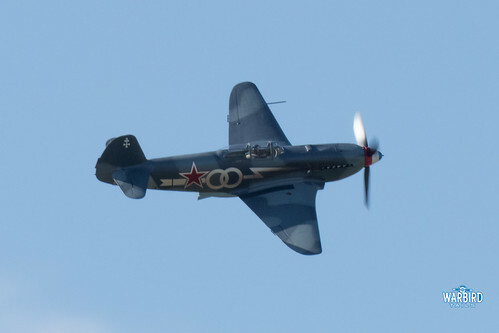 It was great to see a classic graceful aerobatic routine from a beautiful example of the Russian fighter. 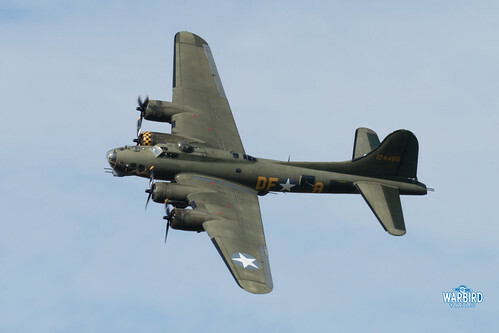 The final WW2 display of the day came from Sally B in the hands of Peter Kaypurs. 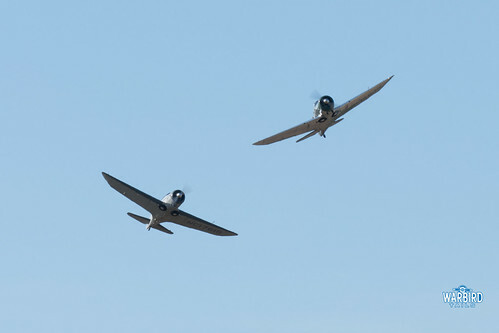 As you might expect the display was very energetic and made a big impact on the small display line at Gransden. There was also a small Vietnam era tribute with a display from the Cessna Bird Dog and a fuel stop from the Bronco, which made for an impressive late departure after the show. 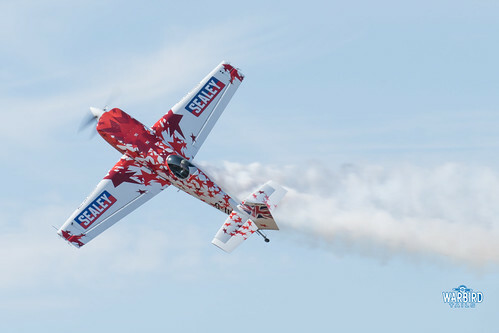 Aerobatic displays always play a big part in the flying display and this year was no different. The always entertaining “Little and Large” duo, featuring an Extra 300 and a 40% scale model performing synchronised aerobatics joined a line-up that included a 5 ship Global Stars display and a show stopping finale performance from Lauren Richardson in her Pitts Special. There were other Gransden based assets on display as well with a solo from the based Stearman and the classic Spartan Executive pair which combined close formation displays with a flowing tail chase. Little Gransden delivered another fantastic show in 2017 with great variety and a selection of acts that only really get a chance to display at this event. I hope the event managed to raise plenty of money for Children in Need and I am already looking forward to the 2018 instalment! 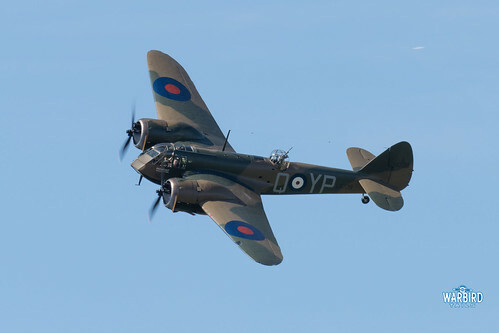 Yes – a great show as per usual – made even better by ‘our’ Blenheim being displayed so beautifully by John. 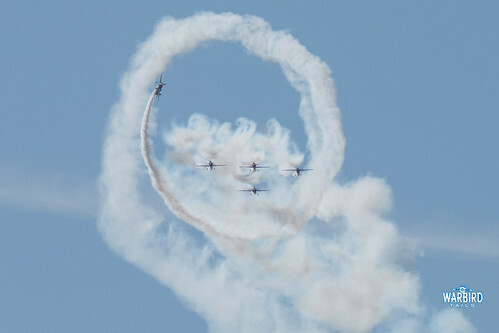 It was a wonderful display – one of the best I’ve seen from the aircraft – thanks for all the work the society puts in.